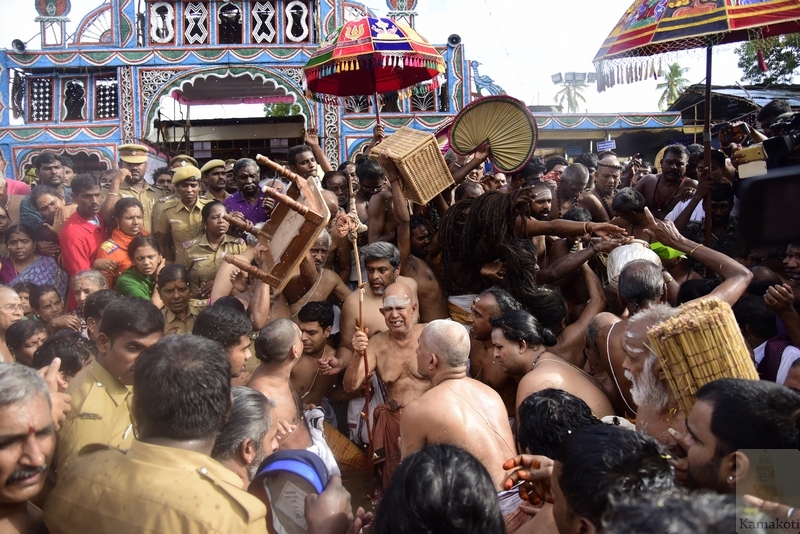 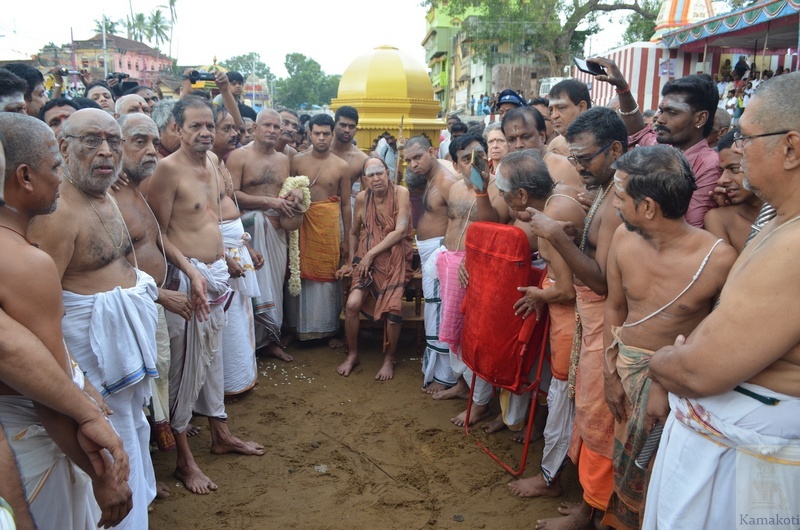 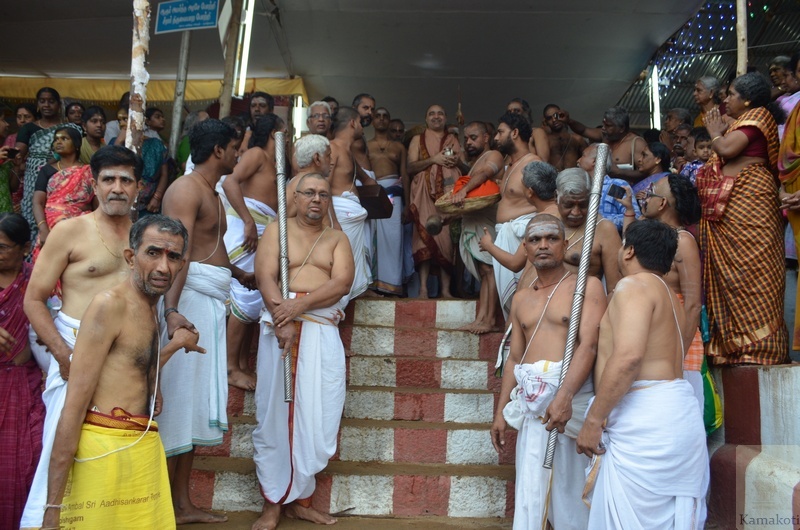 His Holiness Pujya Shri Jayendra Saraswathi Shankaracharya Swamigal & His Holiness Pujya Shri Shankara Vijayendra Saraswathi Shankaracharya Swamigal commenced the Kaveri Pushkaram at Tula Ghattam, Mayavaram at 8:30 am today. 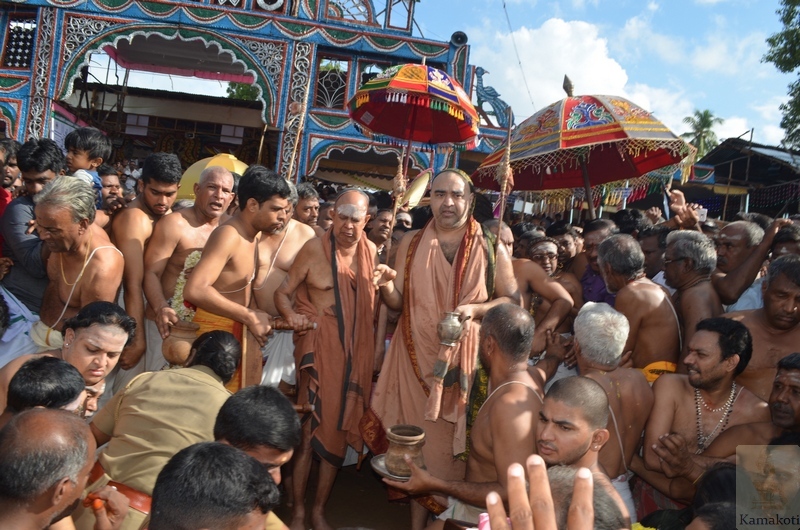 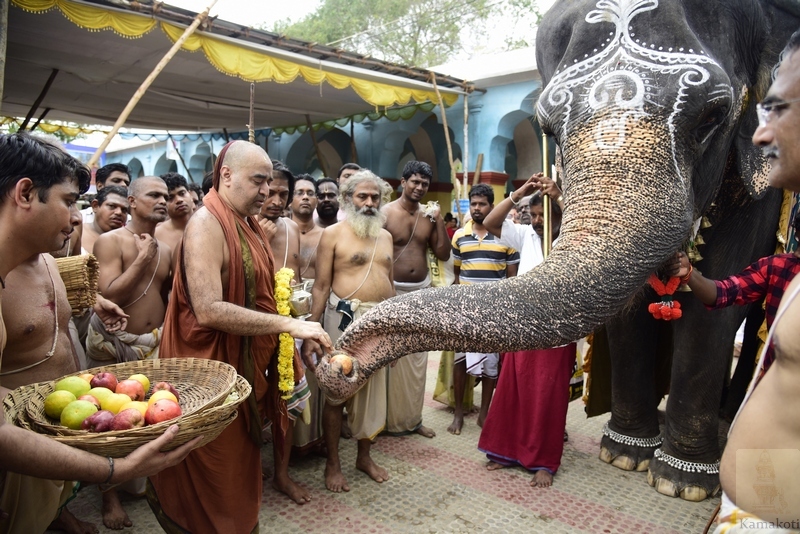 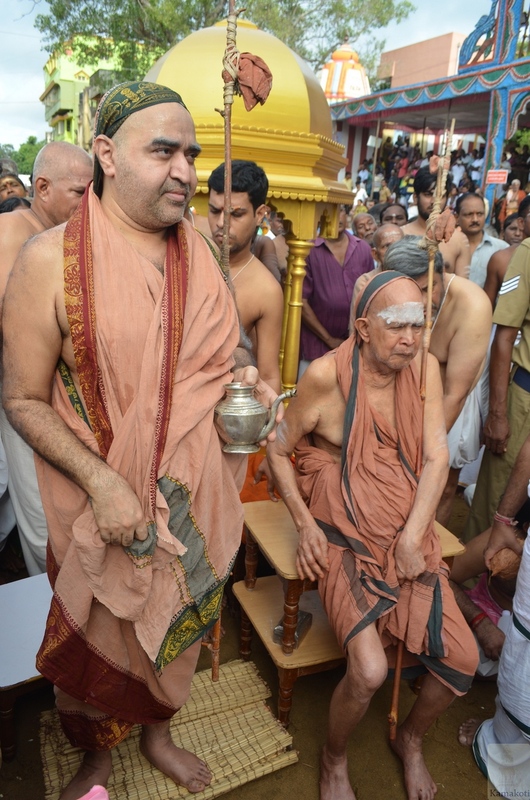 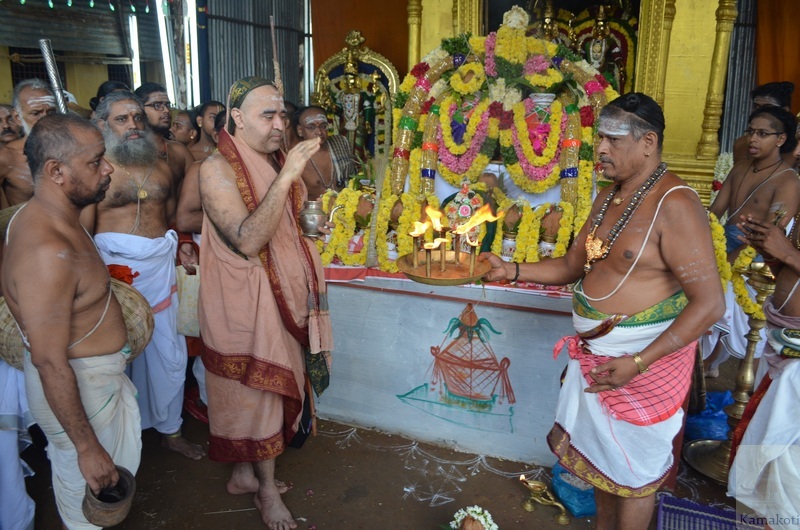 Pujya Acharyas left Srimatam Camp situated at Vadakku Ramalinga Agraharam on the southern bank of the river and reached Thula Ghattam in a traditional procession. 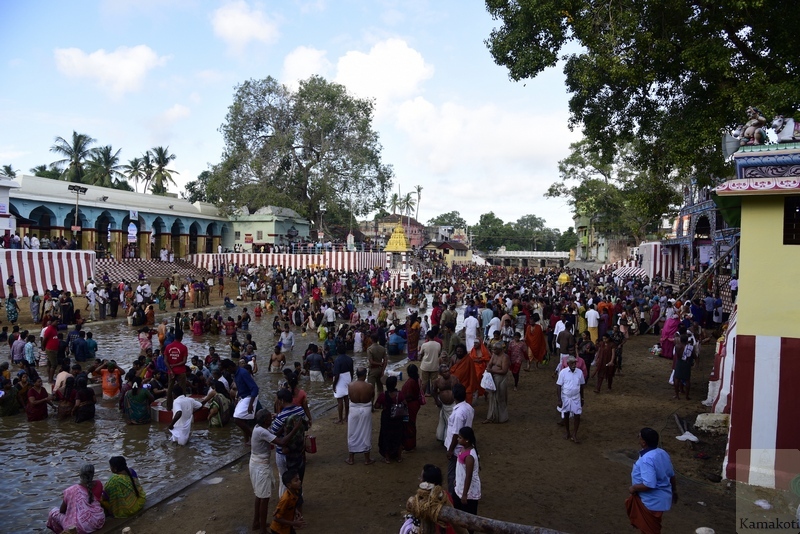 After Purnahuti at the Yaga Shala and arrival of Abhayamba Sameta Mayuranatha Swamy on the Northern Bank & Vadanyeshwara Swamy on the southern Bank of Thula Ghattam, Kaveri water was poured from Swarna Kalasham. 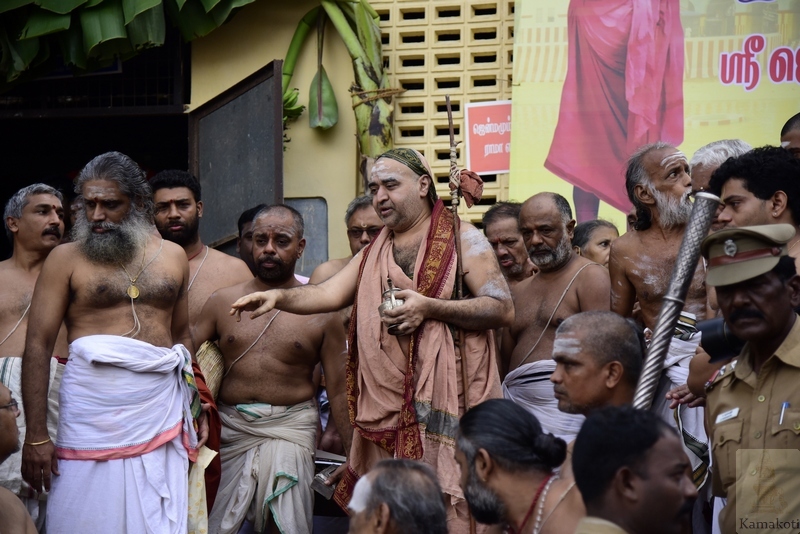 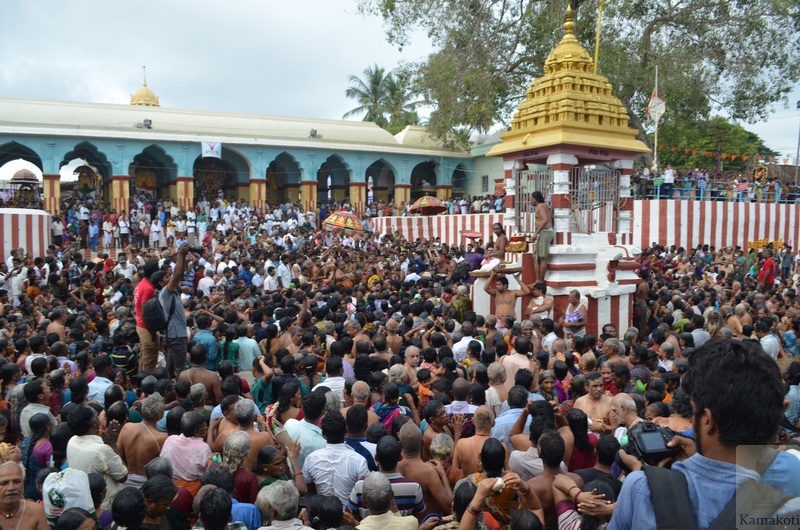 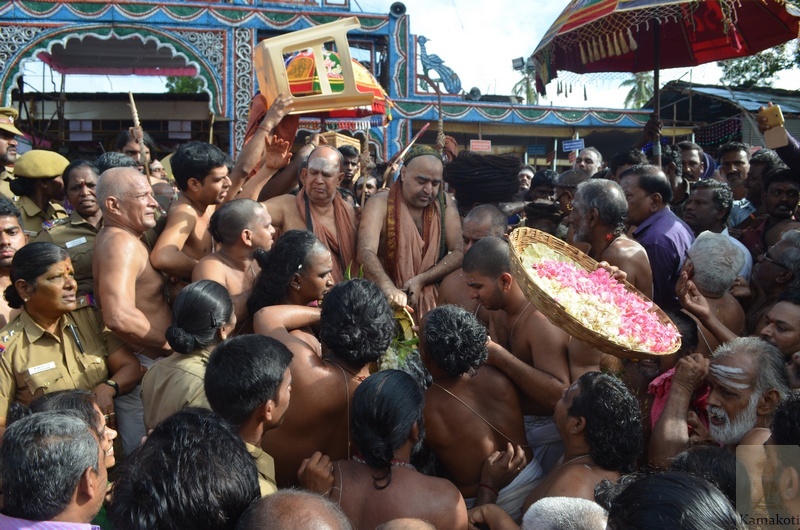 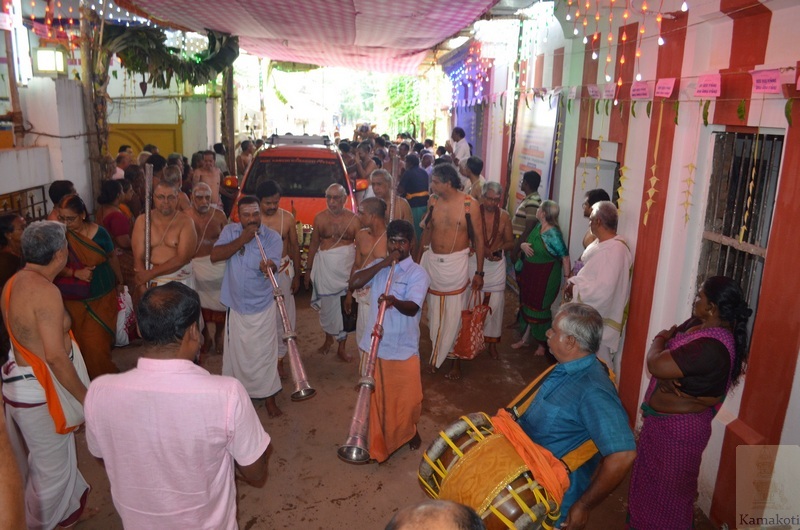 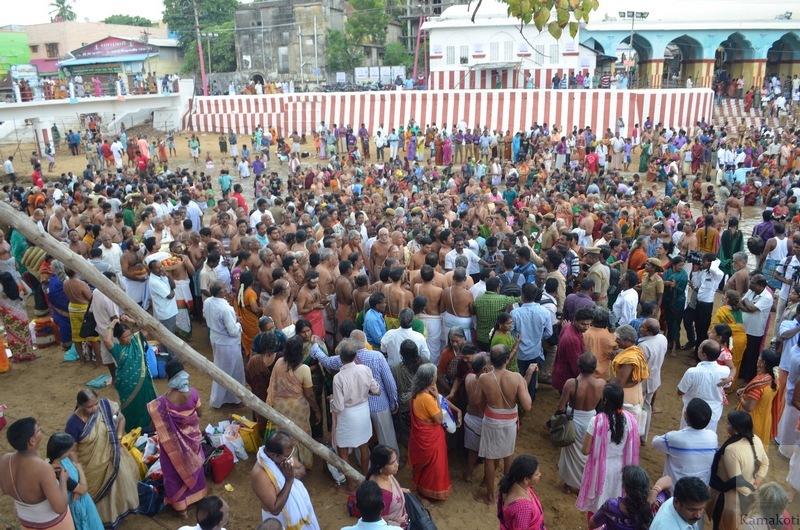 Snanam was performed amidst chanting of Veda Mantras and Nadaswaram. 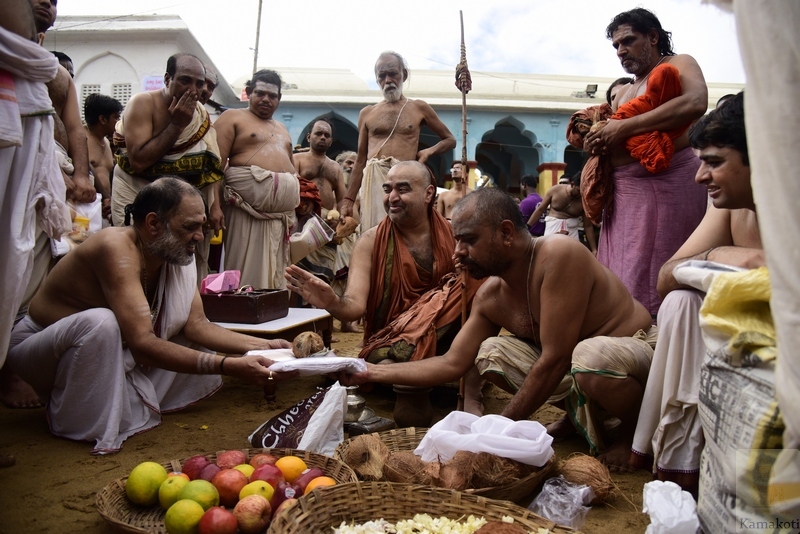 Various danams were given on the occasion. 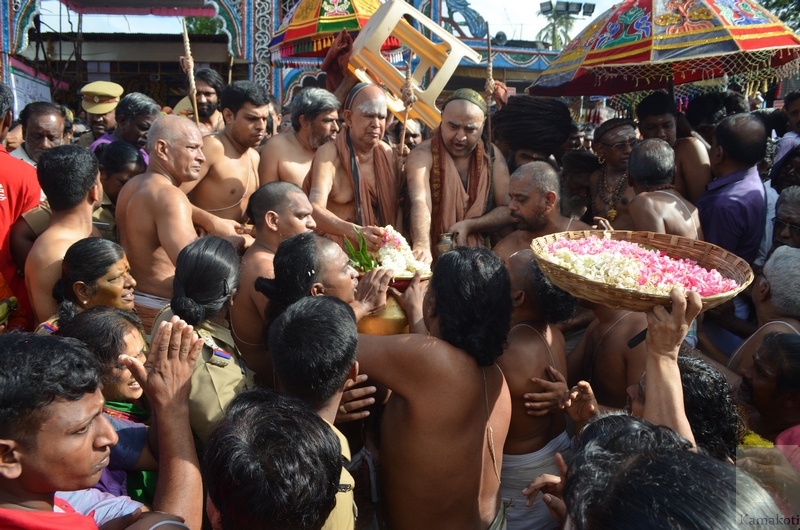 Various other Adheenams and matathipadhis participated in the holdy event. 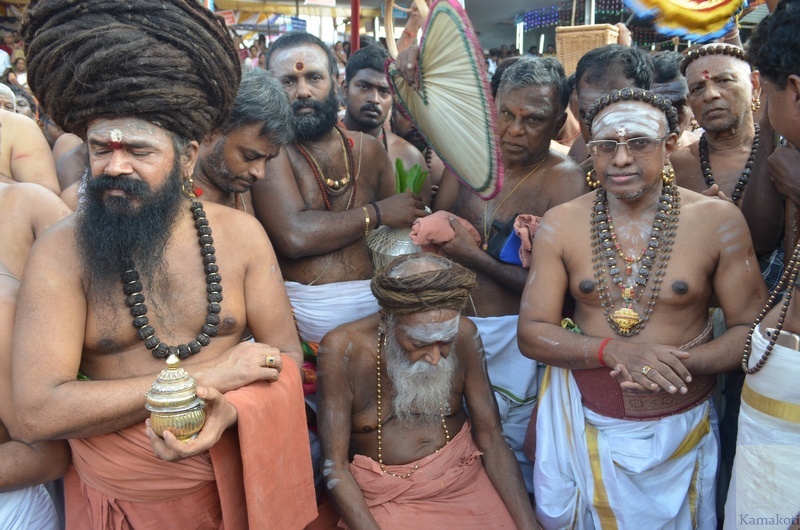 The Holy mantras reverberated. 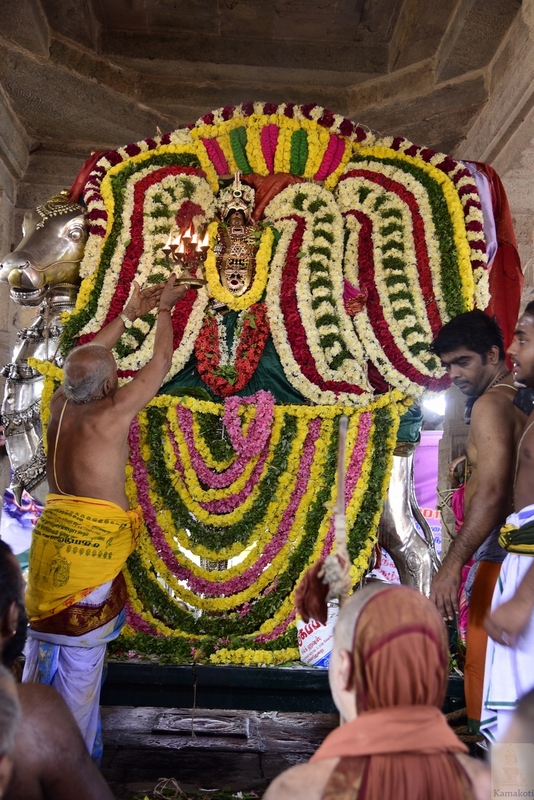 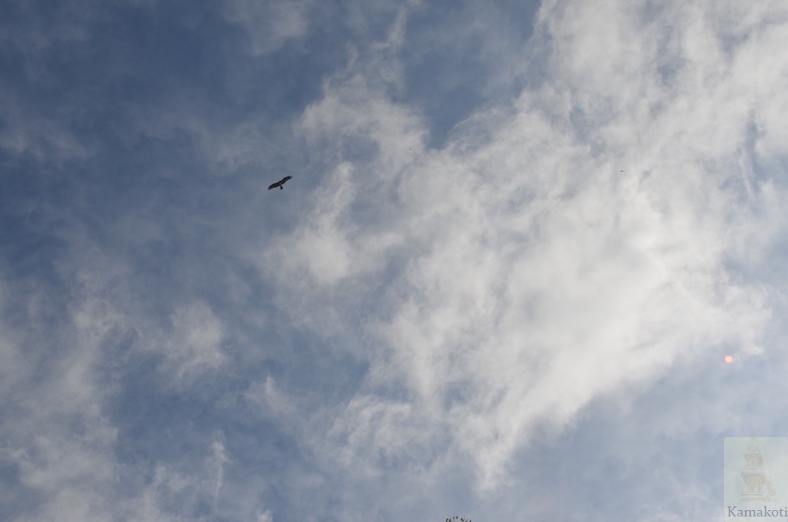 It was a rare sight to see an white necked eagle, Garuda, hovering around the sky adding sacredness to the Pushkaram, which has come after 144 years. 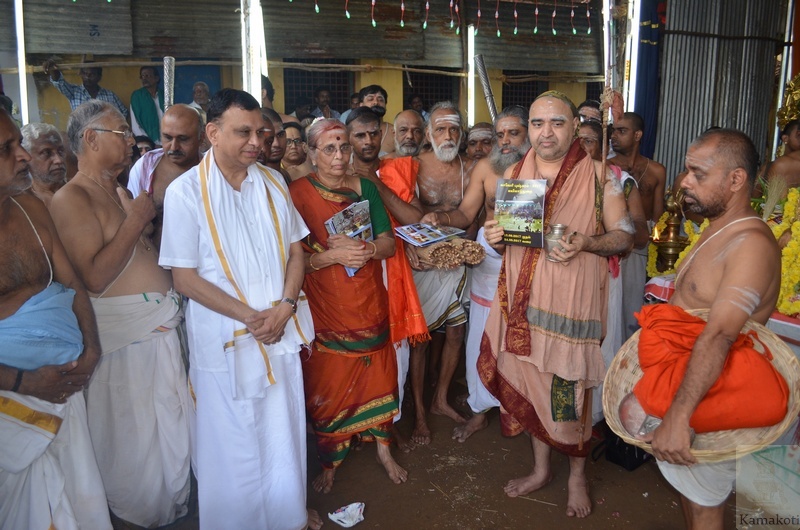 Earlier on September 11, 2017, while addressing the gathering on the eve of Cauvery Pushkaram, H. H. Pujyashri Sankara Vijayendra Saraswathi Shankaracharya Swamiji spoke on the greatness of river Cauvery, which is one of the seven sacred rivers. 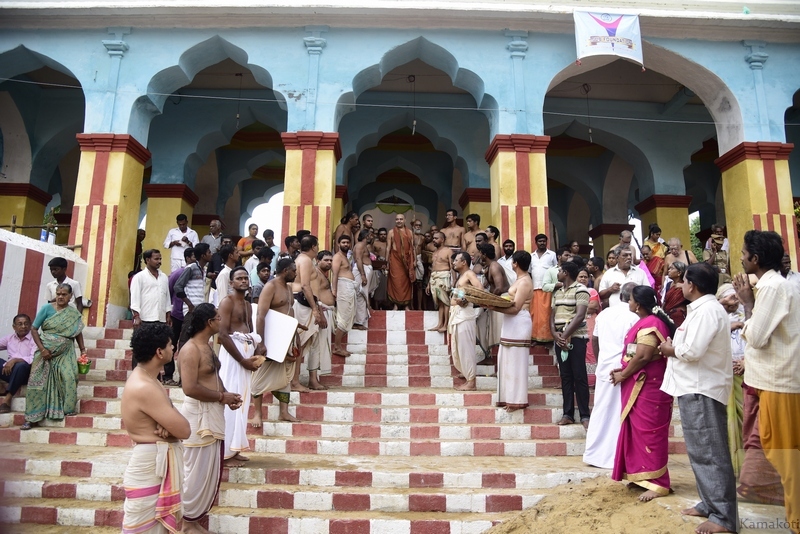 His Holiness called for protection of our rivers and taking steps to keep it clean and safeguard its sacredness.